1. Contrary to popular belief, rabbits are not low-maintenance pets. Domesticated rabbits cannot fend for themselves like their wild counterparts. 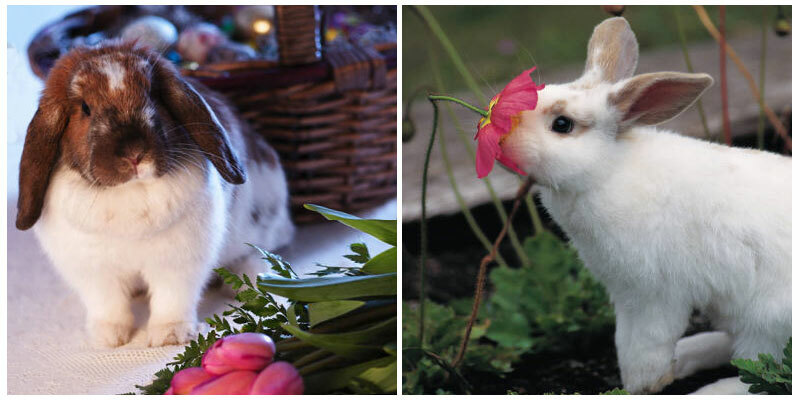 An average of $675 a year is the estimated amount you will need to dedicate to your rabbit. 2. Nothing is cuter than a carrot-munching bunny, but the main staple of his diet is actually hay. If a member of the family has a hay allergy, this could pose a problem. 3. Bunnies are meant to be cuddled; it’s just human instinct! But rabbits are skittish animals and don’t like being cornered or contained. They might just try to leap from your arms. It’s much safer and less stressful for your rabbit to keep the lovings on ground level. 4. Rabbits may be the wallflowers of the animal kingdom, but they still need to socialize. Reserve a private place in the home for him, but don’t isolate him by any means. 5. Myhouserabbit.com suggests a little something called “bunny-proofing.” This means encasing wires in protective tubing, restricting access to priceless furniture, and substituting all the “un-chewables” in your rabbit’s life with old phonebooks or toilet paper rolls. Don’t let this list get you down, though. Rabbits are intelligent animals and can even be litterbox trained. Most of all, they are tender and affectionate pets, as long as they are well cared for. Stress to young children that a new animal is a pet for life, even if he did arrive on a holiday, and you’ll cultivate in them a respect for animals as living creatures, rather than just another Easter basket stuffer.